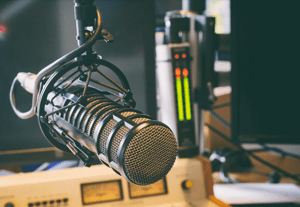 The Mower County Sheriff’s Office reported that a request for a State of Emergency has been granted by the Governor’s Office. That means Mower County will and has received National Guard help with blocking off roads and other steps to deal with the aftermath of this severe April storm. Mower County Sheriff Steve Sandvik reported that 109 guard members who were in Austin at the armory for regular drill for the weekend will assist local authorities in approximately 22 different areas of the county with multiple power poles down, some of which are high voltage transmission lines. Sandvik stated that such a line was down across a semi on I-90 Thursday. Crews from Austin Utilities were called in to cut the live line, and the truck driver was able to exit the vehicle safely. 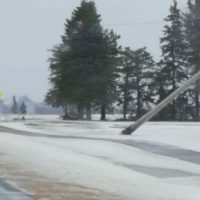 Sheriff Sandvik went on to report that the northern section of Mower County was hardest hit by the storm in terms of power lines and poles down along with the City of Lyle and Lyle Township. He added that the National Guard armories in Austin and Albert Lea, along with Lyle City Hall are available to those who have lost power for an extended period of time due to the storm, but he went on to state that many of those affected have found shelter with relatives and friends in Austin and other areas with electricity. 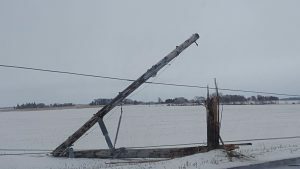 In a press release sent out by Freeborn/Mower Cooperative Service Friday morning, it was reported that approximately 3,700 customers were without power and approximately 500 power poles are either broken or on the ground throughout their service area. The cooperative went on to report that additional crews and equipment have been called in to help in the restoral process, and they do not expect full restoration of power until Monday evening or Tuesday for some areas of their service territory. Sheriff Sandvik cautioned area residents to stay out of the affected areas until repairs are complete to avoid being injured or killed by downed power lines, and to enable repair crews to finish their work as quickly and safely as possible.